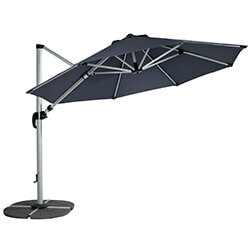 Made by Hartman to match a range of cast aluminium and weave furniture sets, this cantilever parasol provides a fantastic way of offering shelter from the sun or light rain. 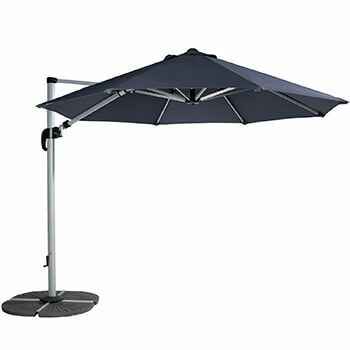 It has an impressive 3m diameter when open, and includes a crank, twist and tilt function for optimal use whatever your needs. 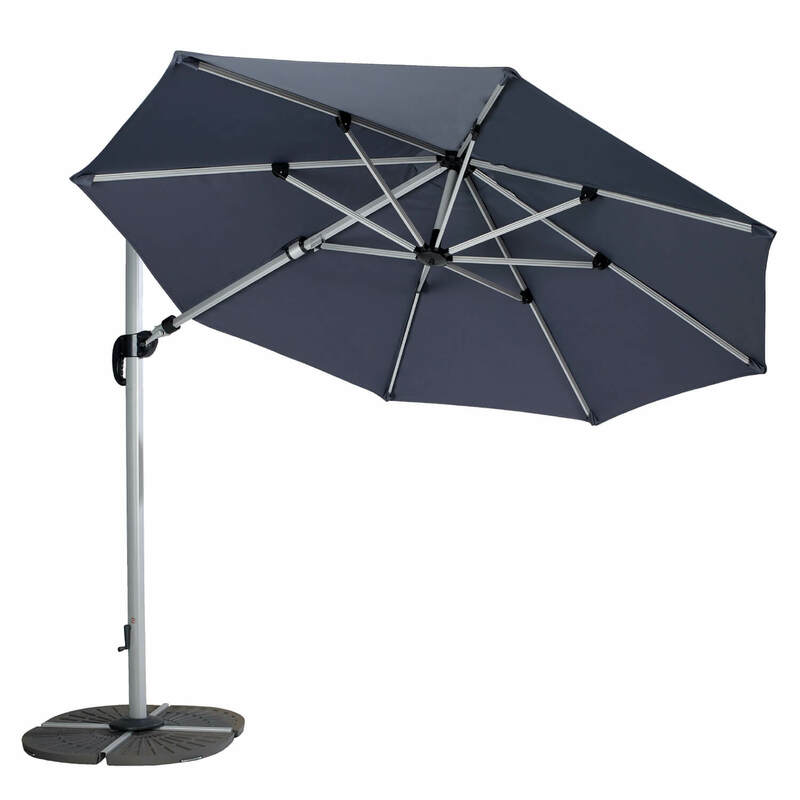 Unlike table parasols, which can sometimes get in the way when not in use as they remain in the centre of the table, this cantilever parasol sits to the side of your furniture and arches over it. 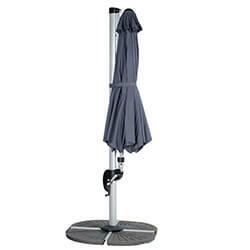 This means that when it's not in use, the parasol packs away neatly into an upright position, without blocking any views across the table.